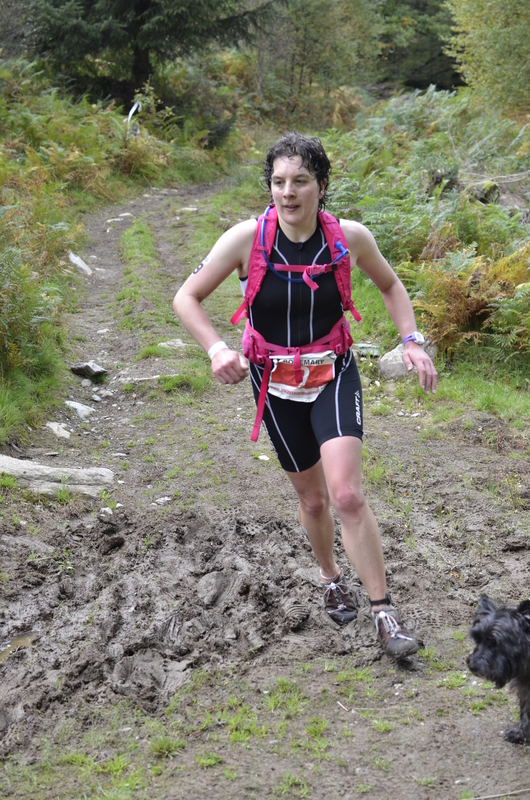 The new incarnation of this race in Snowdonia is not to be underestimated. By the time I finished, I was exhausted and craving sweets, Pepsi and baked beans. 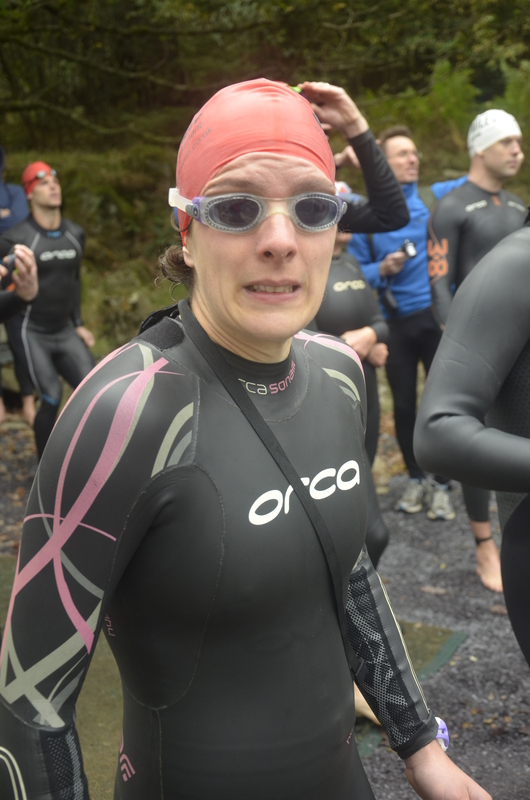 The water for the 750m swim was on the cold side, but not unbearable. I couldn’t decide where to position myself though. The shoreline on our left jutted out and we had to swim between that and a buoy on our right, before angling left to the next buoy, where we turned right. To the left, and I would get trapped in shallow water against the shore. To the right, and I might get squeezed as we passed the buoys. I opted for the middle, which was a mistake! The hooter went, we sprinted, I got mangled, shoved, and pushed under water. I nearly panicked but had to hold my nerve. It was all made harder by the fact we were swimming into a strong headwind. There were lots of white horses making the water even rougher than it already was with the flailing arms and legs. As we turned right I was being physically pushed and elbowed. I got a bit fed up and started fighting back, giving a few elbow shoves of my own. It finally got easier after this and I worked on swimming harder. Compared to last year, the bike course had been more than doubled in length to 69km and included some significant hills. We had driven round it the day before, but it didn’t give the same sense of steepness that the legs felt during the race! The first section was uphill into a headwind. A group of guys came past drafting, but I just tried to ignore them. We were soon on a fast, twisting, almost single lane descent. I was very pleased that no cars tried to come past and I got down safely. The next section was slightly downhill and very fast. Suddenly two girls came past together, working hard. My competitive urge kicked in and I picked up the pace to stay near them. We turned to go up something described as ‘the wall’ in the briefing notes. I hoped here that my standard road bike compared to their TT bikes might help … but they were strong bikers and halfway up we were still together. I changed gears and heard a funny noise. I glanced down and saw a tough little stick wedged around my rear derailleur. The timing couldn’t be worse! I had to stop, get off, yank it out – and by then they were gone and out of sight. From chatting later to some of the other competitors who also saw them pass, they stayed close for a lot of the ride. In some ways I was glad I wasn’t tempted to tag along and risk falling foul of drafting rules (7m is a big gap). I might also have been too tired to run! On the other hand, I was on my own again and mentally battling to keep my pace. I was feeling good now and fired up the final hill to transition, keeping my average speed well above target. Setting off on the run I saw Andy, who shouted encouragement at me. We had to run to the top of Moel Siabod and back down again. Climbing the mountain was much harder than last year. I think this was due to the longer, hillier bike. Every time I attempted something faster than a shuffle, my lower back screamed at me to stand up straight – which isn’t helpful when you need to lean into the hill to run! Eventually things got better. The top of the mountain was shrouded in fog and it was blowing a gale. I was cold but didn’t stop to put my jacket on. It did illustrate why there were rules to take full windproof body cover though – which I’m sure many didn’t from what I saw them carrying (or not!). Turning at the top I descended quite well – for me. The killer of this run is the final section. You’re almost back where you started, when you have to take a detour through the forest on a fireroad that demands you run fast. My legs were burning but I was determined to finish hard! In the end, my run time was slower than last year, which I was disappointed about. However, I really had nothing left at the end and felt I couldn’t have done much more. I was 5th female (though funnily, first in my age group as I was beaten by 4 veteran ladies!). Jane Hansom took a well deserved win with a flying run. A natural fell runner in the making?! 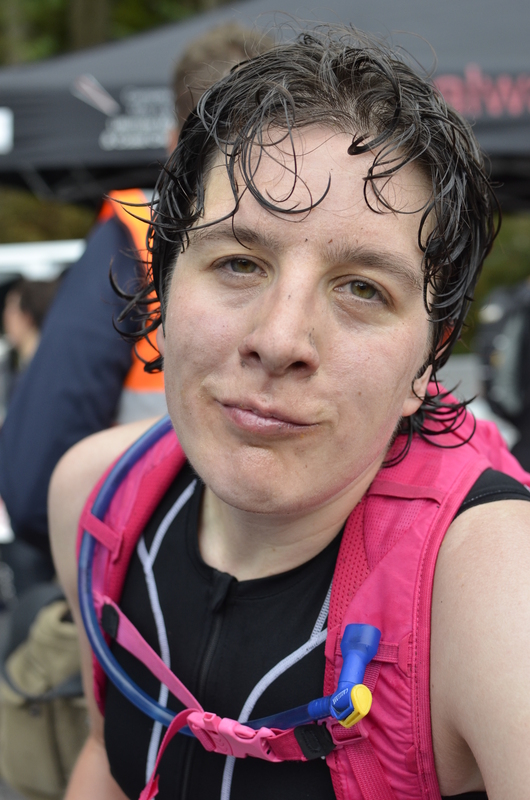 Rhian, who was in contention for the series had tummy problems on the bike and decided not to run up a mountain. It must have been a tough decision for her. The two fast cyclists, Rebecca Slack and Suzetta Guerrini took the other podium spots. Results. My confidence took a bit of a knock knowing there were a few girls way ahead on the bike. It is usually my best leg of the race. I also thought I might do better with the longer distances. In fact, reviewing the results in context compared to the full field, my bike was good and it was the run which really let me down – as is often the case! I also finished 31st overall, out of 175 (27th fastest bike), which is alright. Sometimes I find it hard to judge my performance as there are so many variables. I can race and perform well but not place as high because of stronger competition or more depth in the field. Or maybe sometimes I just don’t perform as well as I could. This time, factors could include end of season accumulated fatigue or low motivation. 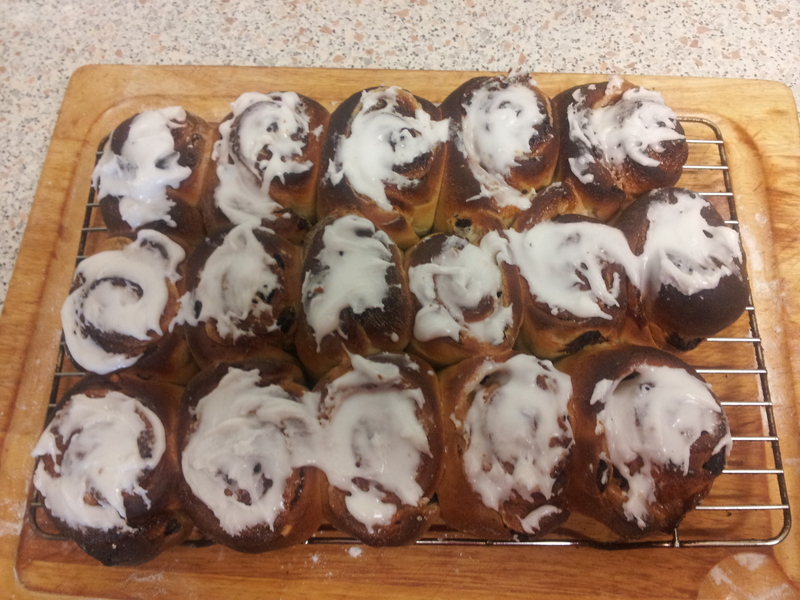 Post-race relaxation – making marzipan Chelsea buns! Thanks Andy Kirkland for the photos! 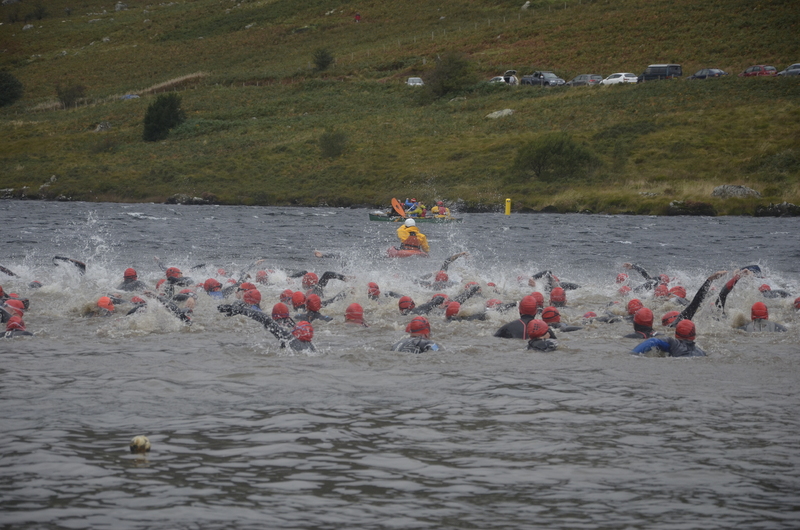 Posted on 08/10/2013, in Race Reports and tagged bike, off-road, run, swim, triathlon, Wales. Bookmark the permalink. 7 Comments. Already enjoying my break – long (easy) scenic bike, splashing in the sea, mountain romp planned! Well done on a good race, I’ve done the slateman the past 2 years but thinking now about doing the snowman next year. Me too – well, I did all three both years. But I feel the Slateman might be getting ‘too big’ for the sort of atmosphere and event I like. The Snowman is much smaller and more personal in comparison. And it can’t get too big because the transition and parking areas are so tight! It’s also a much more challenging event.